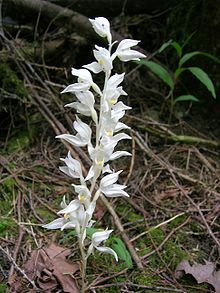 About nineteen years ago, when I found Arthur Lee Jacobson’s checklist with all of the species, native or alien, that had ever been found growing wild in the greater Seattle area, I got the idea that I would work to bring back all of the species he had listed as “extirpated”, that is considered native to the greater Seattle area, but now were estimated to be lost from the Seattle area because it had not been recorded here for decades. Stewart on KING 5 TV finding Camp Long’s Salamanders for reporter Dan Cassuto, for some school kids, and for KING 5’s viewers, and teaching about them! 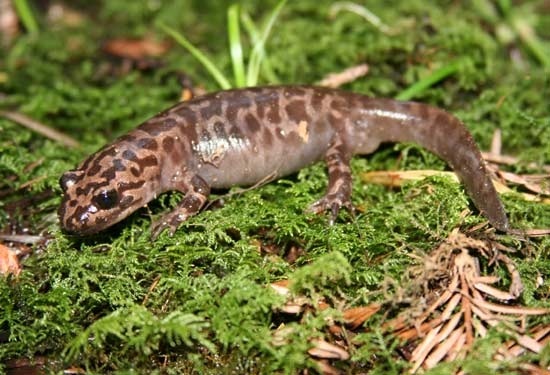 Here is the link to a very cute 2 minute video of Stewart on KING 5 TV finding Camp Long’s Salamanders for reporter Dan Cassuto, for some school kids, and for KING 5’s viewers, and teaching about them! (Aired on the local news January 19th, 2017, and again on KING TV’s Evening Magazine on Sunday, January 22nd). Everyone who has seen it has loved it! Many have complimented the still shots in that piece. 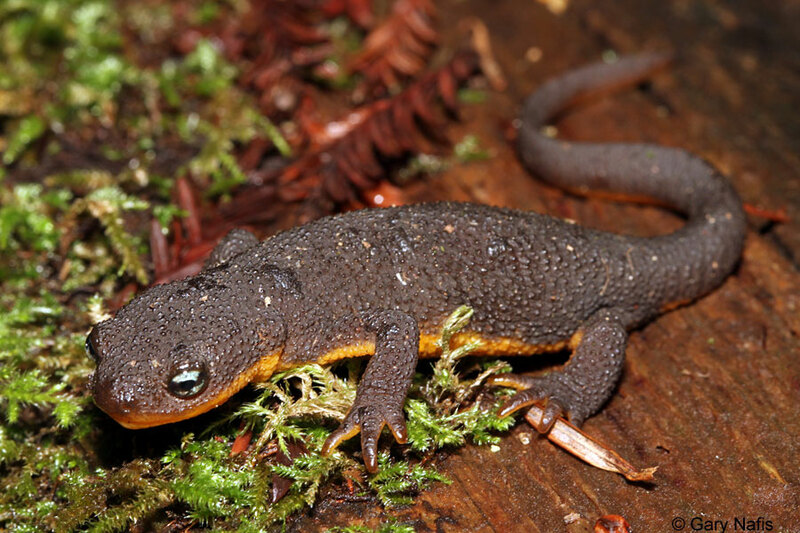 I coached the reporter very carefully on those, after he started taking his first picture from the side, I taught him that the strongest photos of a salamander include a good shot of the face and eyes, and he got the all of the shots of the Ensatina he used for the piece that way. 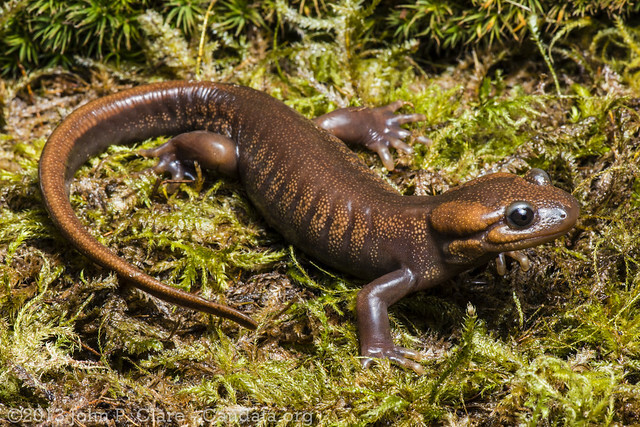 He started to take the Western Red-backed Salamander on a dirt surface, and I suggested we put him on a mossy log for a richer, more beautiful, and much better contrasting background. I learned these things from my naturalist older brother Doug who is a nature photographer, who was always an incredible naturalist-teacher for me, both as I was growing up, and beyond. While almost everyone is familiar with lizards, many are not familiar with the amphibians that are roughly the same shape as a lizard, with skin like a frog. 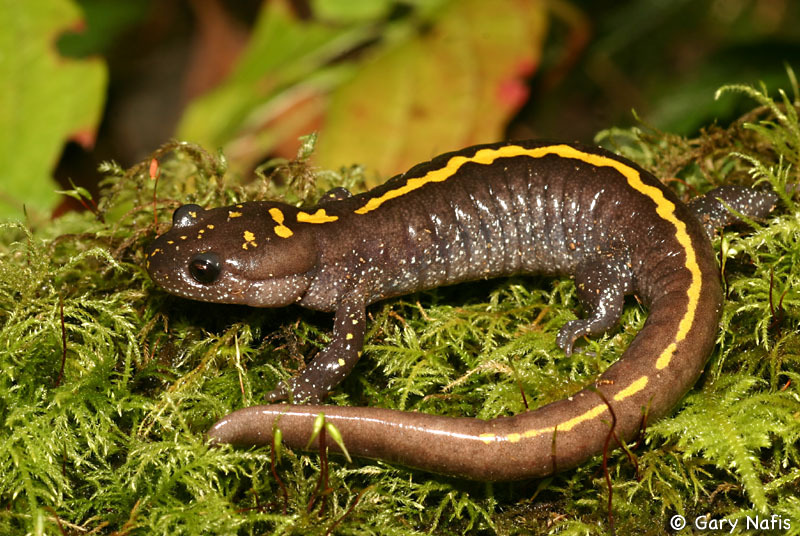 These are the salamanders. Why are they not more familiar to us? 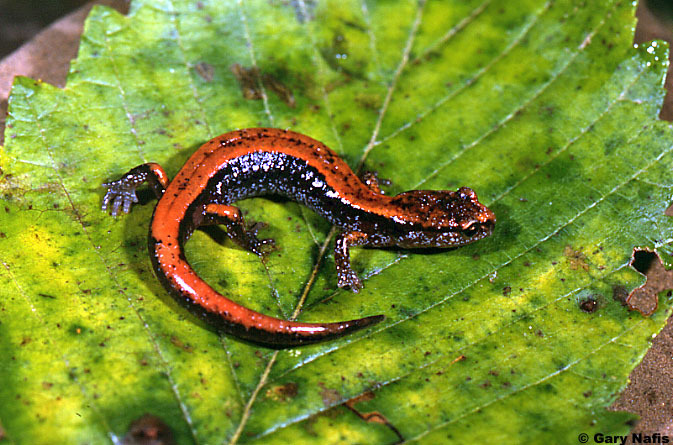 Salamanders are not generally active above ground during daytime where people can easily see them. They can be seen during the day if you know where to look, but not very many people know where to look. I know where to look, and am leading walks to show them to you on Saturday, February 11th (2017) and another walk on Saturday, February 18th 2017 , when (after about February 15th) a new batch of eggs should be in the pond. I am also available to lead such walks for groups (or individuals) on request. 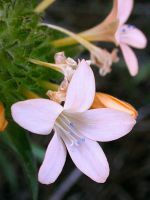 Many of us now think of native plants as the good ones, so shouldn’t we plant more of them? But there may be one problem with this, the “we plant”. If a plant is planted by a human, can we call it “wild”? If an area is filled with plants that humans planted can we call it a “natural area”? What is the definition of “natural”? Isn’t it something that came to be, without being made or altered by humans, at least by those of us of the post-agricultural culture? Wasn’t “agriculture”, humans clearing of land of species they didn’t want, followed by them planting species they did want, the beginning of the end of nature itself, and the beginning of the decline of the diversity of our local communities of native plants, and the decline of the communities of animals and fungi that they were co-adapted with? Consider this case of a plant that is rare for the Seattle area, Collomia heterophylla – the Varied Leaf Collomia (which I have dubbed “Fuzzy Little Collomia”). This annual plant hadn’t been recorded in the Seattle area for some decades when I found some growing in West Seattle’s Orchard St Ravine in about 2003, after we had removed some Himalayan Blackberries from above the soil where their seeds were. They were waiting for some unknown number of years for enough sun to spur germination. After I found those “Fuzzy Little Collomias”, those doing native plantings started covering the ground with wood chips, and the species of trees and shrubs they considered “native” and were readily available to those doing the plantings. If I hadn’t moved seed from what may have been the first local generation in decades of Fuzzy Little Collomias, the wood chips, and the shade from the planted trees and shrubs, may have prevented another generation of Collomias from germinating in at least the near future. But since I moved seed from that one generation of Collomias that did get the sun they needed to germinate, I was able to start new local Collomia populations, after I found some promising similar microhabitats where I brought their seed or seedlings. I had helped spread this species in my area again, while recovering the locally adapted gene stock that might have otherwise been lost. 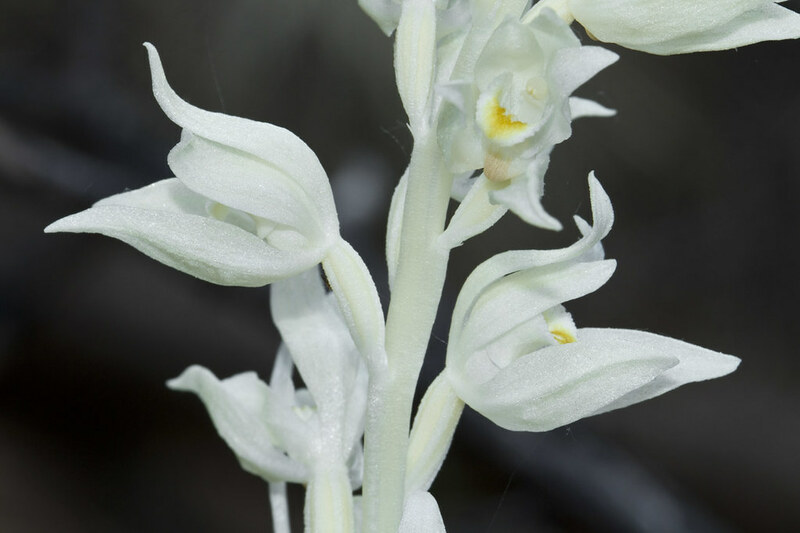 See my new article: Return of the Phantom Orchid on the Friends of Lincoln Park blog. A Dramatic Start to Spring in Lincoln Park!